German pay-TV company Sky Deutschland has reported its first quarterly net profit since 2007 as it prepares to be absorbed into a European media giant being formed by Britain’s BSkyB. Sky Deutschland, currently controlled by Rupert Murdoch’s entertainment group 21st Century Fox, reported a net profit of €12.3 million in the three months to September 30th the first quarter of its fiscal year. Net subscriber numbers increased by 96,000. 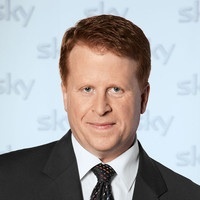 Chief Executive Brian Sullivan warned that Sky Deutschland will have some loss-making quarters before posting annual net profit, commenting: “The reality is that we will go in and out of net income for the next quarters before posting annual net profit”. Sky Deutschland is in the process of being combined with other parts of Murdoch’s European pay-TV empire in Britain and Italy.